The Unification Ministry said Wednesday that close consultation with the international community is required in considering the resumption of a South-North industrial complex and tour program, following North Korean leader Kim Jong-un’s call for the restart of inter-Korean projects. The stakeholders include businessmen who worked at the Kaesong industrial park and Hyundai Asan, which was heavily involved in the complex, he said. North Korean leader Kim called for expanding inter-Korean cooperation and exchanges in an effort to strengthen national unity, in his New Year’s speech Tuesday. 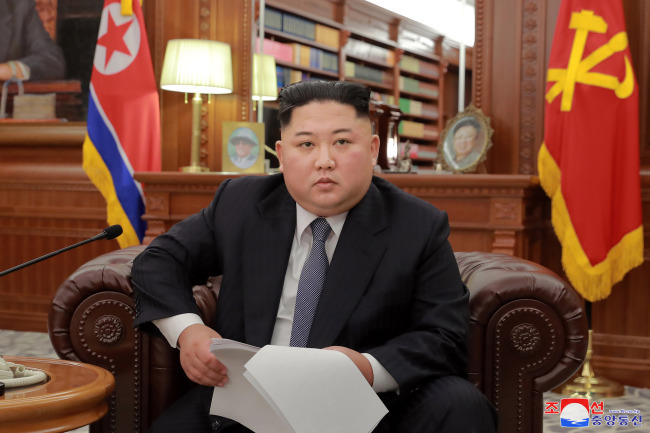 During a television program Tuesday night, South Korean Unification Minister Cho Myoung-gyon said the resumption of projects would be a priority if denuclearization takes place. “We will seek what we can do within the boundaries of sanctions in preparation for reopening in the future,” he said. Although South Korean President Moon Jae-in and Kim agreed to normalized the two economic projects during their summit in Pyongyang in September, international sanctions on the North have prevented further progress. The joint factory complex in the border city of Kaesong has been closed since 2016, and the operation of the tourist program at Kumgangsan has been halted since 2008.